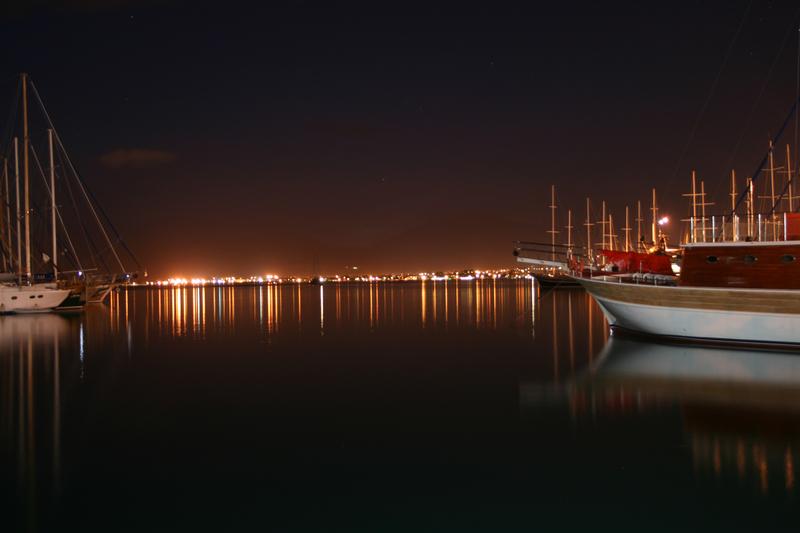 With the sounds of Fethiye a mere din against the slow crashing of the waves against Fethiye’s harbour, my friend and I set out onto the darkened docks with my tripod to capture the stillness of the Aegean and the harbour’s many masted boats. The lights across the sea are gorgeous. This is a wonderful picture – and you’re so right, it looks very calming.